I was out at Bunnings over the weekend and saw the local Scout Troop selling harvested Christmas Trees. 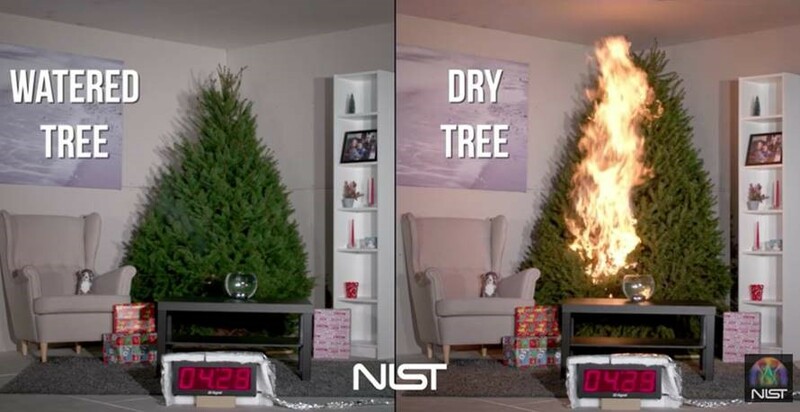 Over the many years of my career, I have seen fires in Christmas trees both real and artificial. A fire is heart breaking at any time, but when the tree has all the presents beneath it and the fire starts it is even worse than ever. Faulty lights are the most common cause followed by candles too near the tree. A fire has already been reported this year in Queensland due to faulty Christmas lights. They were purchased on-line and were reportedly quite dangerous and a fire just waiting to happen. It seems every year there are lights like this in the government product recalls. If you are buying lights please purchase them from a reputable supplier and make sure they meet Australian standards. Please check your lights to ensure there are no frayed cords and that the transformer, to reduce the power to the lights, is not over heating and or too near any combustible material. Check the bulbs themselves if the lights are old (pre LED). Videos you can view on YouTube, such as from This Old House, demonstrate the difference that watering via a reservoir in the base when you have a real tree can make to greatly reducing the flammability of the tree as it gets older. Candles are always a danger and should never be hung in a tree and should be kept well away from curtains and other combustible material. The other issue is if they can be blown or knocked over. 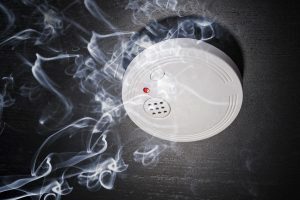 Finally, check your smoke detectors, change the batteries if you did not do so when daylight saving kicked in, check fire extinguishers and fire blankets are all where they should be, and are not out of date. All this is just as important at work as it is at home. I recall a major fire in Melbourne where the Insured had great procedures in place to test and tag all their electrical equipment but a $15 set of Christmas lights caused a multi million dollar fire which seriously jeopardised their busy Christmas and January sales periods. A little bit of risk management can help make sure you and your family can have a safe and happy Christmas.